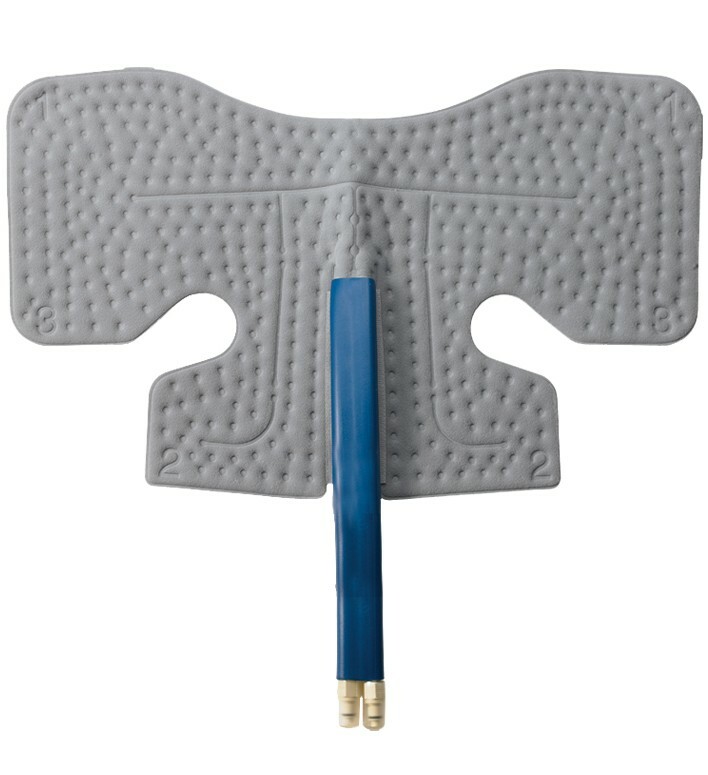 DonJoy offers several cold wraps to use with the Iceman Cold Therapy pads. The wrap-on pads are designed with a hook engageable material to easily secure around the affected area. Includes both cold pad and wrap. Can I use this with a DonJoy Iceman Classic? Yes, the DonJoy Iceman Wrap-On Shoulder Pad, as well as the other pads we carry for other body parts, are all compatible with the DonJoy Iceman Classic. Can this be used on a knee? Does this work with Iceman Clear3 ? When this pad is attached to the Iceman machine, will it provide compression as well as ice? I'm 5'4" 110 lbs. size 4. Do I need the small or universal size? I had shoulder surgery for a torn Rotator Cuff and used this machine afterwards. It was the best money that I have spent. It kept me continually cooled down and helped me to have less pain. I healed faster too. This pad works great. The Velcro that holds it in place is perfect as they are sewn with curves. Pros: Velcro correctly shaped. Large enough to cover all of shoulder. Cons: There is no way to drain out left over water in pad after use. From previous experience this will mold over time. Need a device to open valves to allow drainage. The ice man has been a life saver for myself, my wife and brother all have had rotator cuff surgery. Don't go through a joint surgical recovery without one, seriously! I've had shoulder (rotator cuff / clavicle) surgery as well as knee surgery. The use of the Donjoy Iceman products for post-surgery recovery were significant in reducing pain and swelling. The cold does not create any discomfort, it is more like a huge sigh of relief when you are going through this period. Can't recommend it highly enough, and while the products are not inexpensive they are well worth it even out of pocket. I had shoulder surgery three years ago, not only did I use the machine around the clock for two weeks and then for at least 8 hours a day everyday for an additional 3wweks. But three years later I am now using it to cool down and ice my pitchers on a traveling softball team. It is great, the only thing I am doing now is replacing the pad cause the felt on the outside did not last. The small should pad is a good fit and provides the cold I need to relieve the pain.